Credit: D’Or Institute for Research and Education. Scientists improved the initial steps of a standard protocol and produced organoids displaying regionalized brain structures, including retinal pigmented cells. The announcement was published today in BMC Developmental Biology by the D’Or Institute for Research and Education’s team. Human brain organoids are aggregates formed by nervous cells obtained from cell reprogramming. Within this technique, cells extracted from skin or urine of volunteers are transformed into stem cells and then into neurons and other nervous cell types. They are cultivated for weeks, until they start forming agglomerates that resemble an embryonic brain. For the past few years, scientists are trying to perfect this model in order to create organoids increasingly complex and similar to those on later stages of development. Since 2016, in partnership with the Federal University of Rio de Janeiro (UFRJ), scientists from the D’Or Institute have cultivated human brain organoids to study neurological diseases and the effects of new drugs on the nervous system. They put nerve cells in a nutrient-rich liquid, similar to the development environment of the human embryo. From there, those mini-brains develop in a self-regulated process. In other words, all one must do is make sure they have the right environment to develop. Recently, the team lead by Stevens Rehen has been able to refine the environment where the cells are maintained. 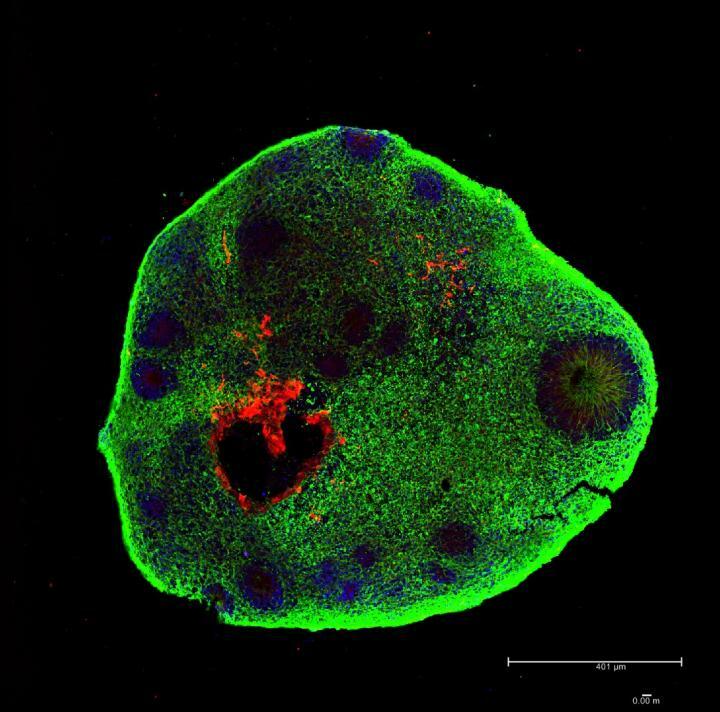 “These organoids are a demonstration that it is possible to repeat, in the laboratory, increasingly advanced gradients of human brain development,” says Rehen. “We developed a cost-effective suspension method on orbital steering plates as an alternative for the cultivation of brain organoids with retinal pigmented cells”.